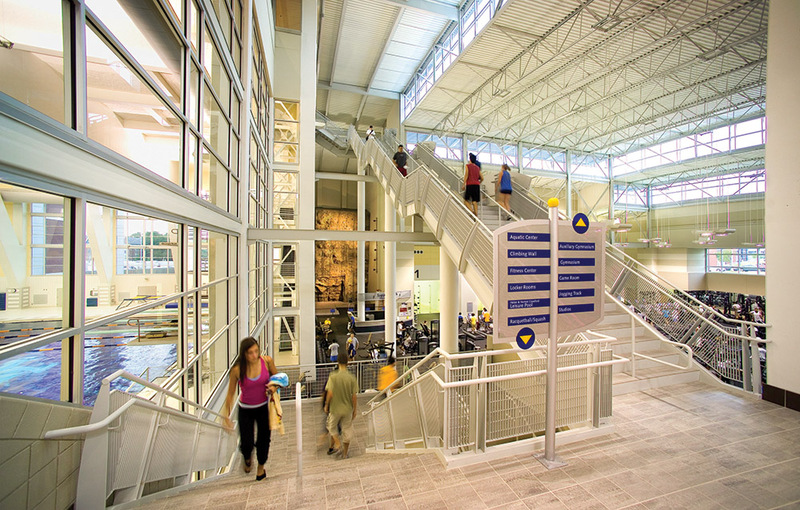 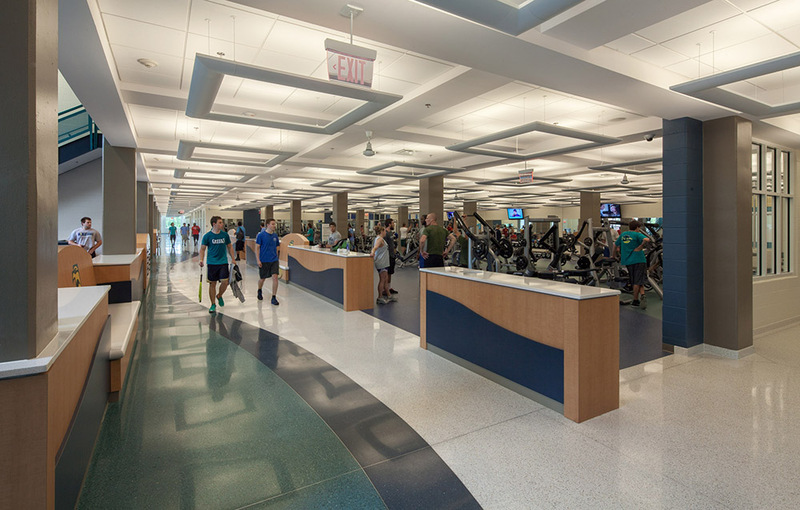 Funded by student fees, the original Student Recreation Center at the University of North Carolina-Wilmington opened in 2000. 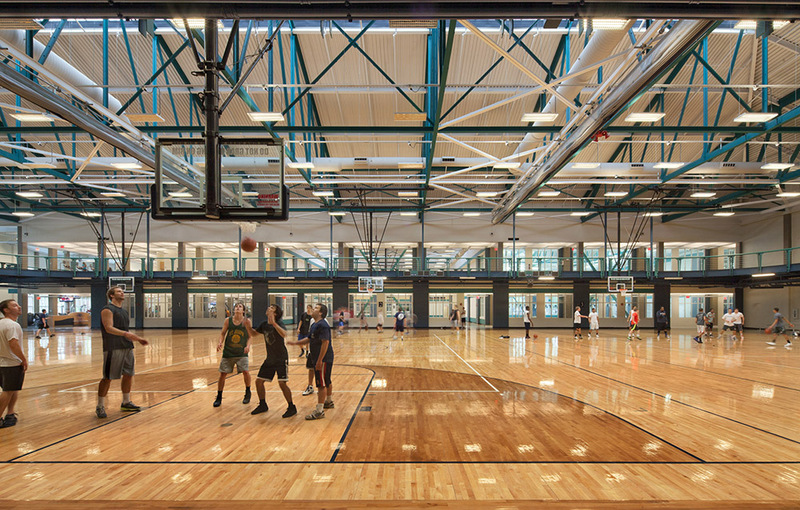 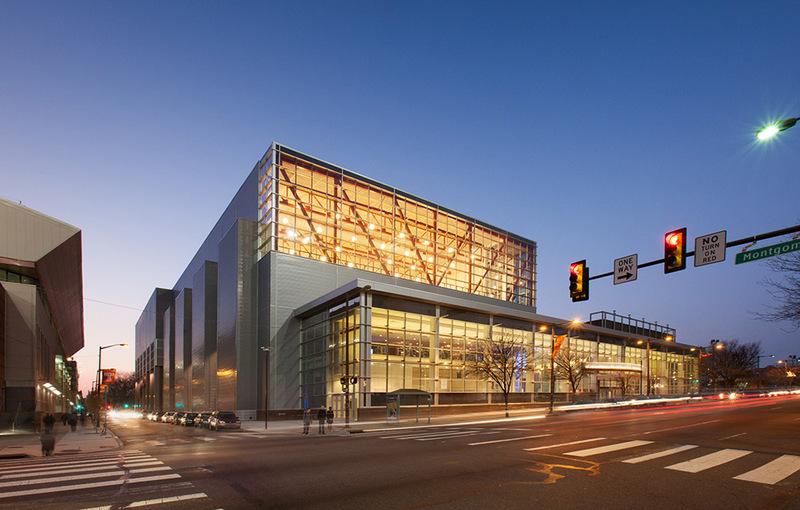 A decade later, the facility became too small and dated. 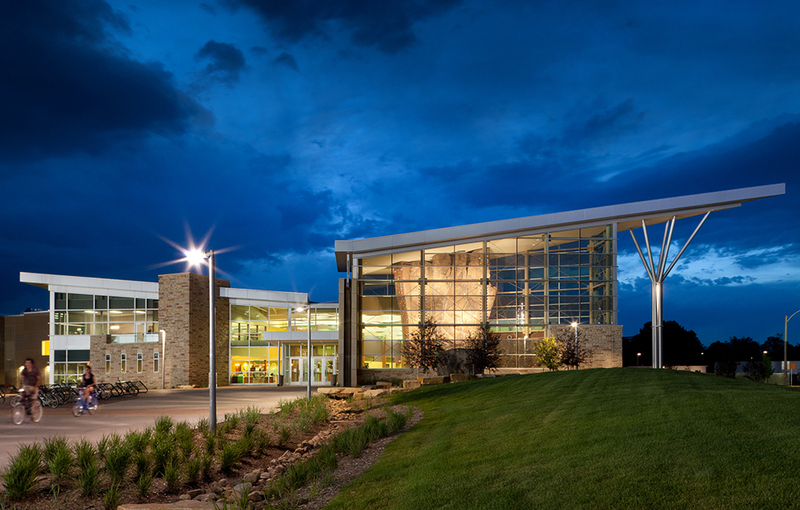 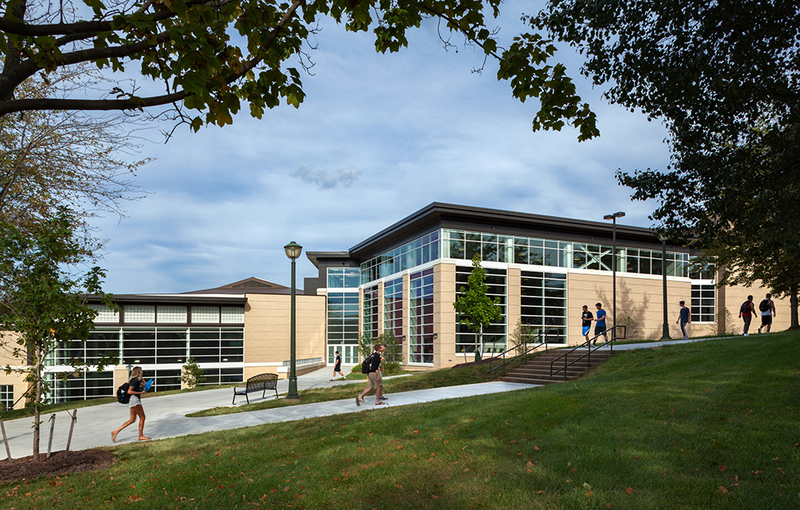 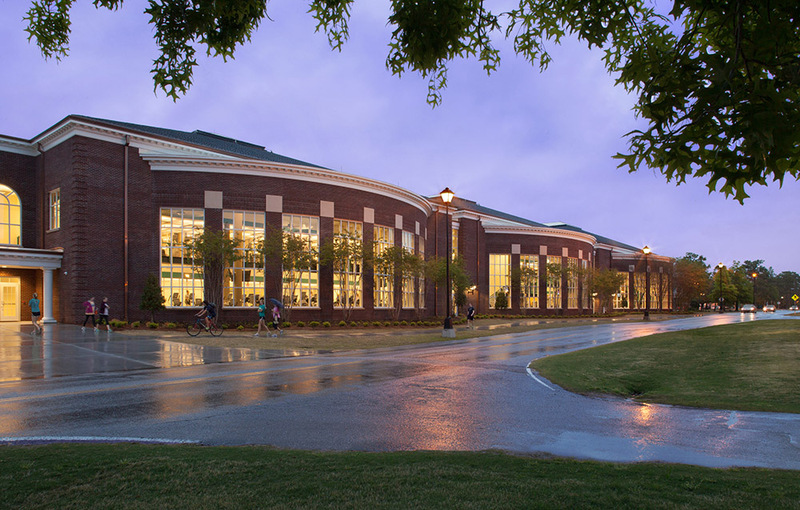 University administrators commissioned Hastings+Chivetta, in collaboration with BMH Architects, to design an addition and renovation to the Center. 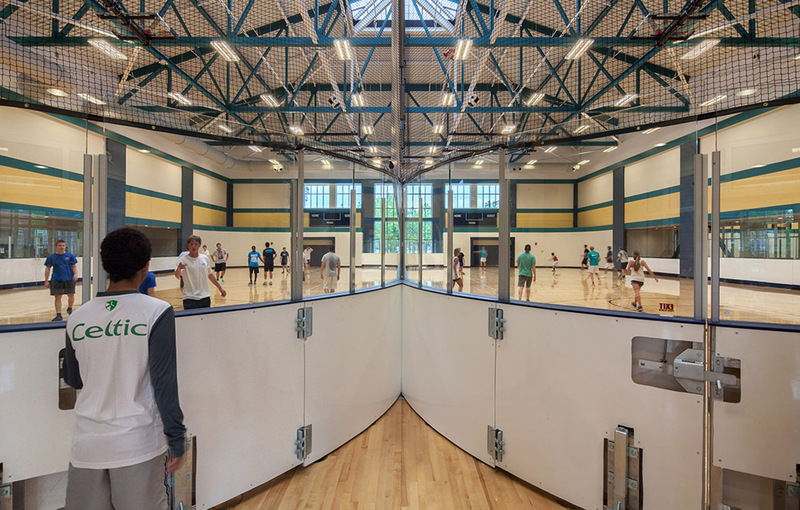 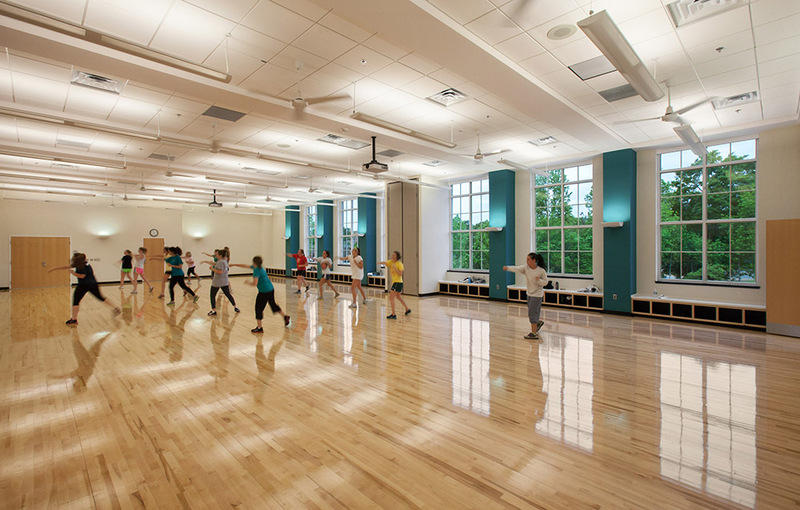 Recreation components for the expanded and renovated facility include a gymnasium with a suspended track, multi-activity courts with retractable spectator bleachers, cardio/weight equipment areas, racquetball courts, three multipurpose rooms and locker rooms. 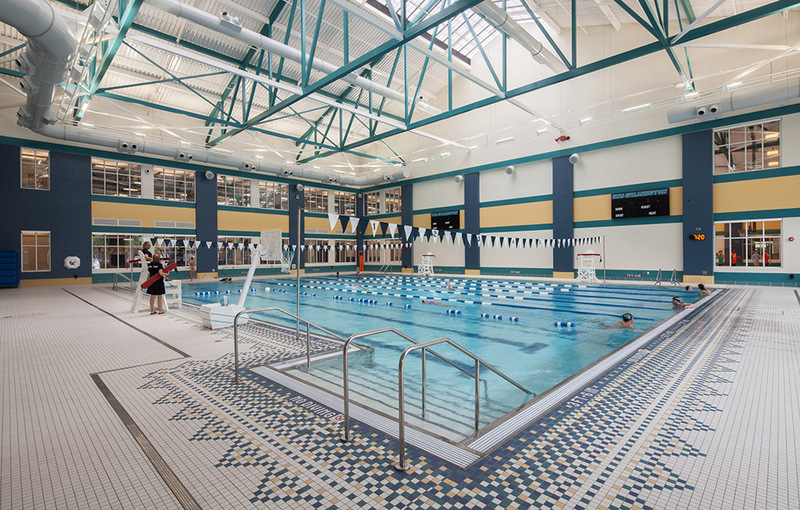 An outdoor leisure pool with a large deck was added, and the indoor 8-lane, 25-yard pool was renovated along with a wet classroom, storage and aquatic locker rooms. 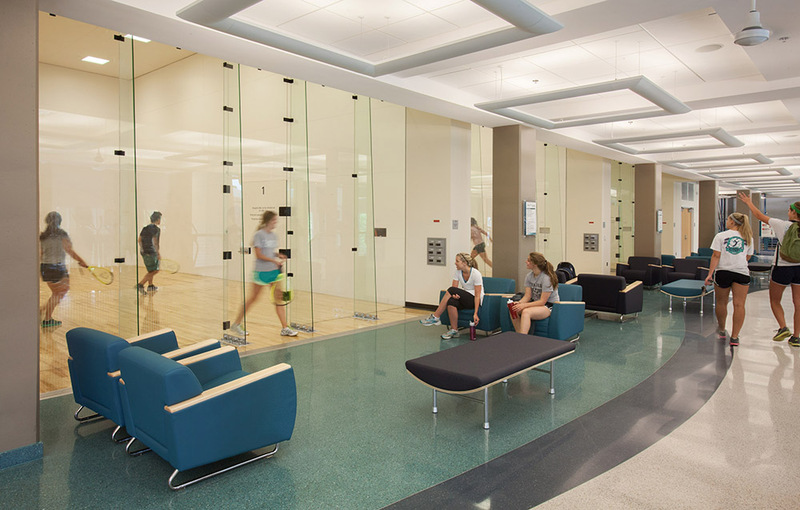 UNCW offers numerous opportunities for outdoor leisure, so the expansion includes the new Discovery Outdoors Center with reception, a resource library, meeting rooms, a catering kitchen and almost 2,500 SF of oversized storage for equipment. 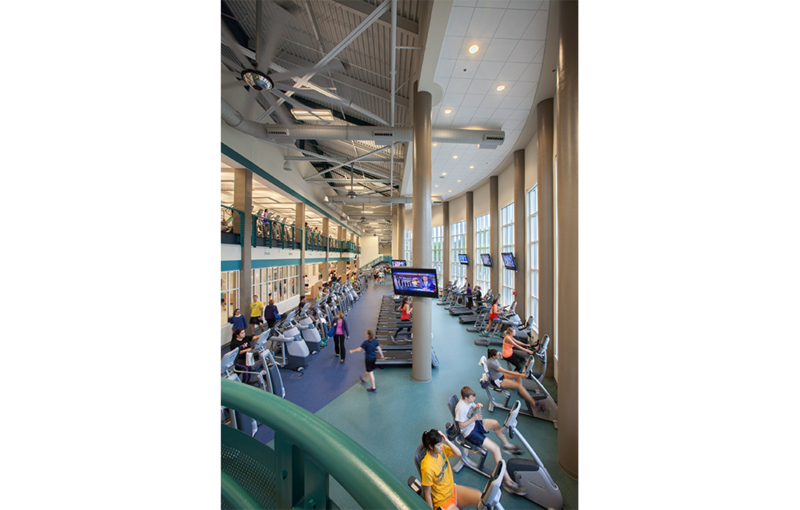 Rounding out the facility is the Fitness for Life Center, the 28-foot climbing wall with over 1900 SF of climbing surface, as well as administrative offices.